Nicknamed “Bug Light.” the Portland Breakwater Lighthouse was built in Victorian times when architects were encouraged to design public buildings as works of art. 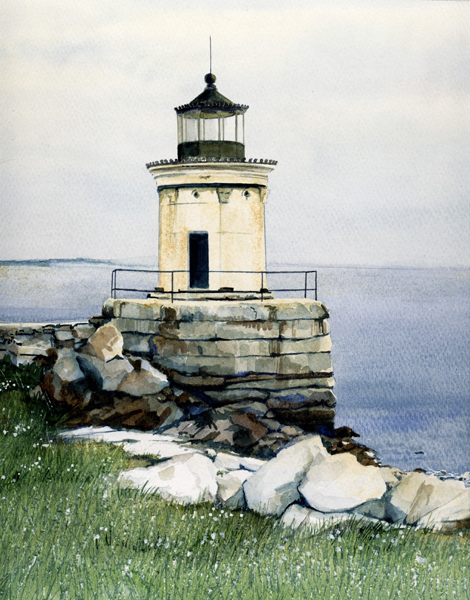 The painting seen above relaced an earlier tower marking what was then a long breakwater defending the entrance to Portland Harbor. A land-reclamation project has led to the coastline engulfing all but the lighthouse, which was decommisioned in 1942.